On Saturday, two of the UFC’s biggest stars, B.J. Penn and Georges St. Pierre, meet for a second time in a fight with historic proportions. Penn, the current lightweight champion, will attempt to become the first champion to hold two UFC belts in two weight classes. St. Pierre, the current welterweight champion, will try his best to keep Penn from that legacy, and earn a second win after a controversial first meeting. Penn is widely acknowledged to be one of the best punchers in the game today, with good footwork and head movement during exchanges. His long, stiff jab routinely cuts up opponents, and up close, his uppercut does damage. Penn relies on his boxing perhaps more than any other technique on his feet, though his clinch work includes knees and dirty boxing. In his last appearance against Sean Sherk at UFC 84, his flying knee/punch victory showed he is still willing to go for broke, and has a quick eye for ending fights. His balance and flexibility are his best assets against wrestlers who want to take him down after exchanging punches, an asset that will come into play against St. Pierre. Through his early weaning as a karate specialist, St. Pierre brings a multi-pronged striking attack to his fights. He carries the reputation as a truly balanced fighter, integrating his boxing, kickboxing, and clinch work seamlessly. He’s methodical, using footwork to keep the action in front of him. He likes to control the pace. His technique is mostly flawless – he rarely throws a reckless punch. Of particular note are his kicks, which he times well as fighters drift into range. He has a strong overhand right that he often used in his first meeting with Penn as a counter to a lead hook and jab. One area of noted improvement is his striking on the ground, which he used to great effect in his last bout with Jon Fitch at UFC 87. Fitch was on the canvas for mere seconds before a hail of elbows and punches damaged him irreparably in the first round of their twenty-five minute fight. Penn’s bread and butter is his jiu-jitsu. A proponent of “advanced basics,” Penn emphasizes leverage over strength, technique over force, as he works for position. He is very good at taking advantage of scrambles on the mat and using them to set up submissions. His previously mentioned flexibility is regarded as one of the best in the business, using his legs to trap opponents arms when he’s at their back, weaving them over shoulders to set up shoulder locks or triangles, using them to frustrate a ground and pound attack. St. Pierre’s strongest asset on the mat is his wrestling. He consistently has the ability to take opponents down at will, no doubt due to his work with the Canadian national wrestling team. His ability to control the fight from top position is another strongpoint. When he has the advantage, he tends to keep it by keeping his base as opponents posture up. On his back, he is less proven, as no opponent has been able to keep him there. In that way, he is somewhat of an opposite to Penn, emphasizing power as much as technique to keep the fight where he wants. Penn is inconsistent when it comes to his attack inside the Octagon. At times, he is super aggressive; others, he is patient and methodical. More often, he tends to press the action on the feet, closing distance from range. On the ground, he tends to be more defensive, waiting for opponents to make a mistake before capitalizing on shifts in position. St. Pierre likes to take the center of the Octagon. More so than Penn, he consistently presses the action, whether standing or on the ground. He never cedes control of the fight unless overwhelmed, at which point he takes the fight down. To date, his UFC opponents have not been able to outpace him in the long run. His most recent defeat, an upset loss to Matt Serra at UFC 69, was the sole time an opponent truly overtook him and didn’t let him recover. The result, one St. Pierre attributed to pressure, was a crushing defeat. It’s no secret that Penn is not known for his conditioning. On several occasions, he has admitted his reliance on natural talent to take him through fights. Even after sharpening his focus in 2008, there’s still a sense he doesn’t enjoy the grind of the gym. The consensus so far is that he’s one of the most dangerous fighters in the world in the first two rounds, and fades as a fight wears on and he meets more resistance. And since his UFC 41 draw with Caol Uno in 2003, he hasn’t seen a championship round. Of course, he claims that his conditioning problems are behind him. To his credit, he’s seen the end of two 15-minute fights since his re-emergence in the UFC against St. Pierre at UFC 58. 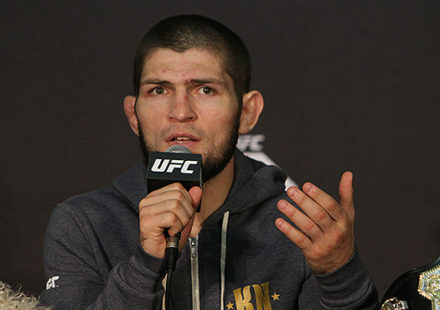 But like it or not, conditioning questions will follow him until, perhaps, his fight on Saturday. St. Pierre, on the other hand, has never been dogged with questions about his conditioning. He’s known as one of the best-conditioned athletes in the sport. St. Pierre has trained at a higher altitude with Greg Jackson in Albuquerque, N.M., and spars with some of the best fighters in the business – Rashad Evans, Keith Jardine, Nate Marquardt, Leonard Garcia, Donald Cerrone, to name a few. In his UFC 87 fight, St. Pierre never once lost step, and kept the pace high for 25 minutes. It is without question he’ll be in shape for Saturday. Conditioning: As mentioned above, Penn’s resolve has not been tested past 15 minutes in more than five years. Forget the pseudo-drama of his vacation from training on “Primetime” – only his trainers know whether he’s ready to go the distance. St. Pierre will not slow for twenty-five minutes unless he is stopped early. 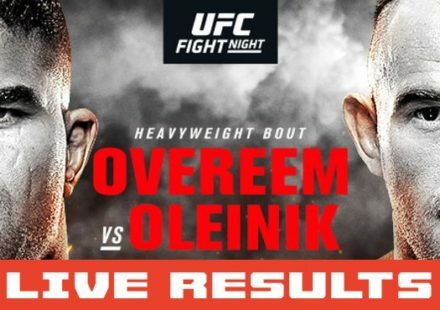 Early Damage: If Penn is able to inflict the necessary damage early, as in their first meeting at UFC 58, will he be able to finish by keeping up the pressure? 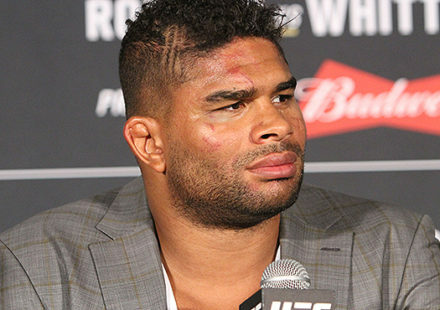 Will Penn be able to break GSP’s resolve by hurting him early? Weight: Penn’s last three fights have been at lightweight, and he’s made a career of bouncing around weight divisions. He can gain the necessary pounds to make 170 – and it’s not entirely bad for his frame – but it may affect his conditioning. St. Pierre will be heavier on fight day. Pushing around up to fifteen pounds more, especially during a long fight, will tax Penn’s cardio. This fight will be won with footwork. St. Pierre has a three-inch reach advantage and is more rangy at striking distance. 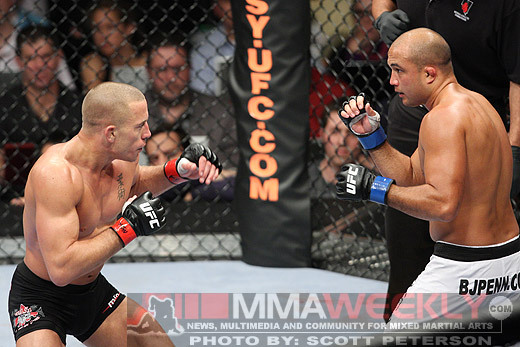 Penn will need to cut angles to get inside GSP’s guard with his jab then find the uppercut when he gets inside. Penn did just that in their first fight, but was never able to put the amount of sting on it necessary to hurt GSP. If Penn is able to hurt GSP early, turn up the pace tenfold. St. Pierre, from the limited examples thus far, panics when momentum swings violently from him. Penn needs to put together better combinations on the feet, and get ready to stick his knee out when an inevitable shot comes from St. Pierre. There is little chance St. Pierre will make a positional mistake when he gets the takedown. For St. Pierre, the key is to use his wrestling base to stay on top and inflict damage. He was masterful at this against Fitch, and though Penn will likely not be stopped, he can win the points necessary to take a decision. On the feet, his length can keep him from danger. His key is also footwork: to avoid the jab, set up kick/punch combinations, and escape when pressed.